It is paramount that brands stand for something in today’s complex and ever-evolving local and global marketplaces. But how important is it for a brand to have a crystal clear positioning, which has no elements of ambiguity in the eyes and minds of the consumer? In today’s marketplaces, it is equally important for a brand to have a critical understanding of “what it is” and “what it is not”. 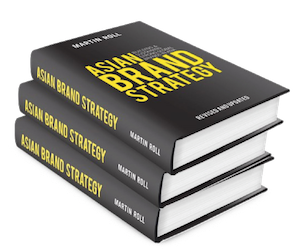 This aspect of the strategic brand management process requires the brand owner to design, develop and implement “brand guardrails”. Brand guardrails are the custodians of a brand’s strategic identity. Consequently they need to tie in very closely with the brand’s vision and purpose. It is important to clarify at the onset that guardrails are not a set of rules or regulations within the brand management framework that require total conformity across all aspect of the brand. Guardrails should act as guides in the lifecycle of a brand and help steer the journey of the brand’s evolution. Strong brand guardrails enable a sharper and more focused brand vision and positioning strategies. With constant evolving markets and rapidly shifting consumer needs and preferences, it has become crucial that a brand never loses its strong sense of identity. A comprehensive set of guardrails ensures this. Successful guardrails encompass the whole brand experience – starting with the brand vision and purpose, design and identity (colour, font, typefaces etc.) and then onwards to all forms of marketing and communication touch points. Guardrails should be used effectively to maintain and drive improvements and efficiencies in product design, manufacturing, quality, customer experience and corporate social responsibility (CSR) initiatives. In essence, guardrails define what a brand can or cannot stand for, which in turn shapes the relationship between brands and sub-brands in a brand architecture framework. Guardrails can cover strategic aspects of a brand (mission, vision etc. ), communication elements (tone of voice, media, design etc. ), customer experience (type of service, service levels, tone of voice, servicing guidelines etc.) and tactical implementation (design, in-store elements, experience etc.). Different brands focus on different types of guardrails that reflect the core areas of brand experience. For example, while Singapore Airlines has strong guardrails in place for customer experience, Apple has strong design and visual identity guardrails, and brands like Burberry will focus on elements of brand merchandise and identity. As branding and marketing have evolved with the emergence of a plethora of new mediums, the number of touch points a consumer can use to interact with a brand has also increased exponentially. Brand management now needs to be done across multiple channels with a need to focus increasingly on consistency of brand messages. With digital advertising spends overtaking television advertising spends in the biggest economies, marketers are moving significant amount of advertising dollars to digital assets. Brand guardrails are getting a renewed focus in marketing functions, as the challenge of communicating consistent brand messages across multiple channels is recognised. Another key factor that is influencing the renewed focus on guardrails, are the globalization strategies increasingly being adopted by organisations. With growth saturating at a local level quickly, brands need to expand regionally or globally quicker than before to ensure they can tap into consumer demand. These expansion strategies require a more disciplined implementation of guardrails to ensure that brands have the same positioning in all the geographies they are available in. The consistent global positioning that we regularly observe from global brands is achieved through a strong integration of guardrails in the brand management focus. In addition to omni-channel explosion and the globalisation factors impacting the adoption of guardrails, the exponential increase in touch points has also resulted in the widening of the brand guardrails framework. Successful guardrails now encompass the whole brand toolkit – starting from the brand vision and purpose, covering brand positioning, to brand design and identity (colour, font sizes, typefaces etc.) and then onward to all forms of marketing and communication collaterals. Extension of guardrails to cover the whole of the brand toolkit is important in the wake of an increase in M&A, joint ventures and divestment activities. In all these activities, protection of brand assets and their associated equity should be of primary importance. Seamless adoption of guardrails is required within changed management structures to ensure that a brand’s identity and image is not destroyed. M&A and joint ventures almost always require reevaluation of guardrails due to changes in the brand portfolio (competing brands in the same portfolio, need to minimize cannibalization, brand architecture overhaul etc.). Sustainability initiatives are also emerging as key influencers of brand equity. Organizations are steadily increasing their involvement in sustainability initiatives and making the whole brand development process more sustainable – via carbon footprints, sustainable sourcing, recycling, environment friendly production and distribution systems etc. As brands increasingly try to position themselves on sustainability platforms, guardrails need to evolve to incorporate sustainability credentials if they are slowly becoming integral to the brand’s positioning. This is just one example of how guardrails need to be flexible. If the brand has an active innovation pipeline, then guardrails need to be flexible enough to allow development of positioning platforms required for line and range extensions. As brands quickly scale up, the risk of inconsistent positioning, confused brand messages (compounded by language, cultural and social factors), incorrect targeting of segments and equity damaging innovations grow. These are the potential risks that effective and efficient implementation of brand guardrails can mitigate. But effective implementation requires appropriate organizational focus on guardrails. This can only happen when the organization has a deep understanding of the brand’s positioning and equity and its influence in driving brand valuation (increasingly a significant intangible asset on balance sheets). The success of global brands across multiple industry and market segments is critically driven by a consistent set of values and positioning, i.e. what the brand stands for. The success of organizations like Unilever and P&G in establishing strong global brands is through strong and disciplined enforcement of guardrails. Unilever has quickly adopted technological advancements to introduce more efficiency into their global brand management processes. Brand custodians have an important role in enforcing this consistency (with or without the help of technology). In global organizations, brand councils are becoming integral to the whole brand management function. In small and mid-sized organizations, the focus on brand building is becoming stronger. Startups have also started focusing on building consistent brand identities during the initial scale-up stages. This renewed focus on brands in the small and mid-sized segments has also led to more interest and implementation of brand management tools and frameworks, of which guardrails is an essential one. As competitive pressures and failure rates of brands increase, the importance of having a clear definition of what a brand stands for cannot be further emphasized. Guardrails are the critical guidelines that brands are increasingly following to ensure clarity in their communications. But there is a consistent need to create or adapt guardrails so that they can stay relevant in marketplaces characterized by a constant need to innovate, grow, diversify and/or expand. The emerging challenge for brand owners is to stay true to their brand’s core values but consistently find opportunities for the brand to grow without straying away from its values and true identity. A strong but flexible set of brand guardrails allows the brand owner to achieve this crucial balance.